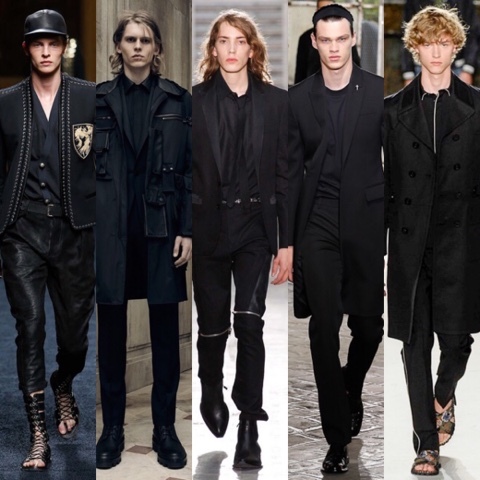 Here is Part 1 of trends I saw during mens fashion week in London, Paris, and Milan. 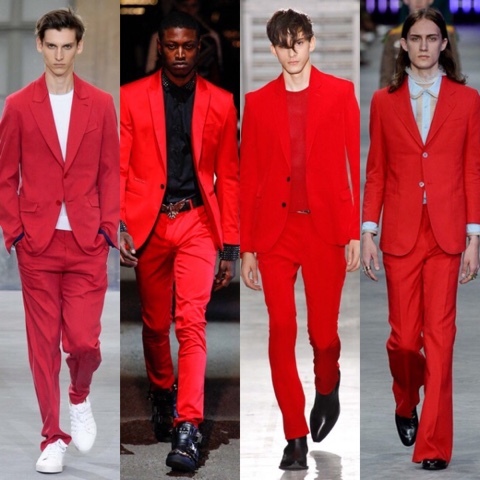 Whether paired with black or white the red suit definitely was a staple look for most designers for next spring. 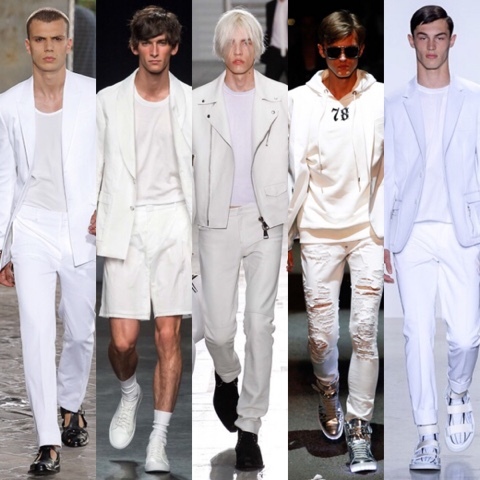 Dressed up or ripped up and worn with sneakers most designers showed a lot of all white looks. 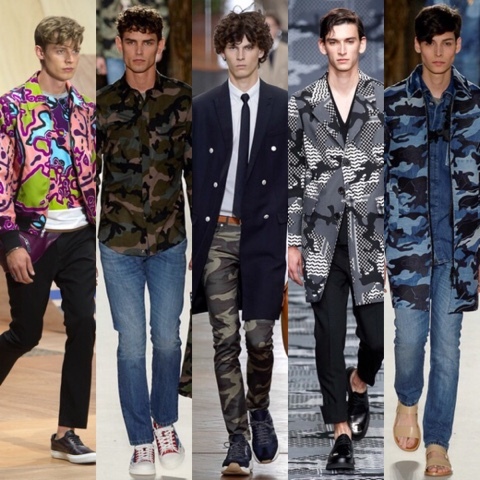 Alot of designers chose to show camo prints but in their own way, changing the colors or adding another print to it. 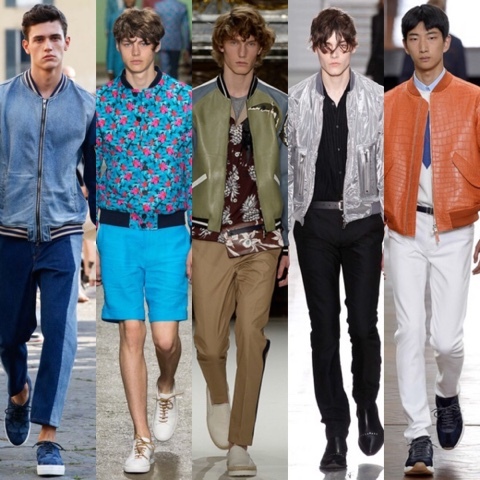 Bomber jackets have been very popular lately and the trend it staying well into next year. Designers showed them in all types of fabrics from croc to leather to denim to nylon. What's there to say. Wearing all black will always be in, whether it's summer or winter. 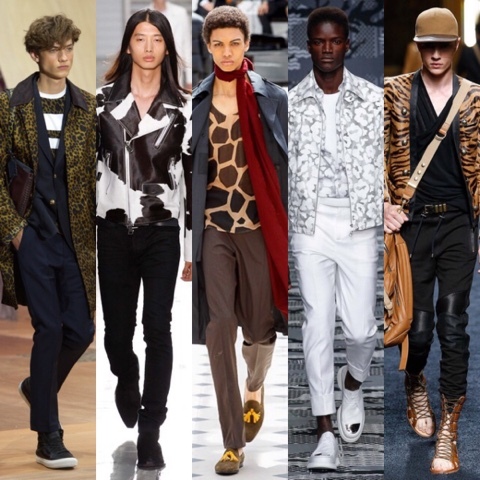 A really big trend were designers using different animal prints like cheetah, tiger, leopard, and even giraffe. Some had sprinkles of it and some made it the main print for their collection such as Coach and Balmain. 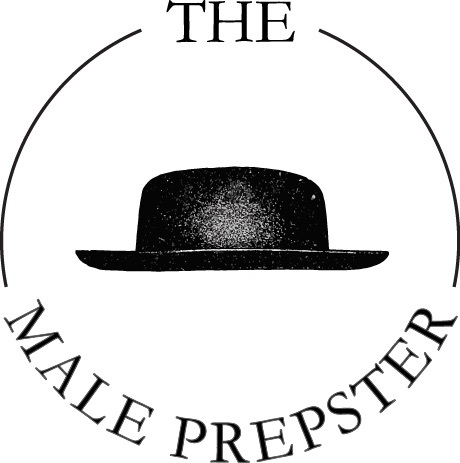 I dont think there is any better place to learn about men's trending styles than Fashion Week in Paris, France. Love to wear suits then there is Mens Tailored Suits Australia from there you can buy yourself suit at affordable price.